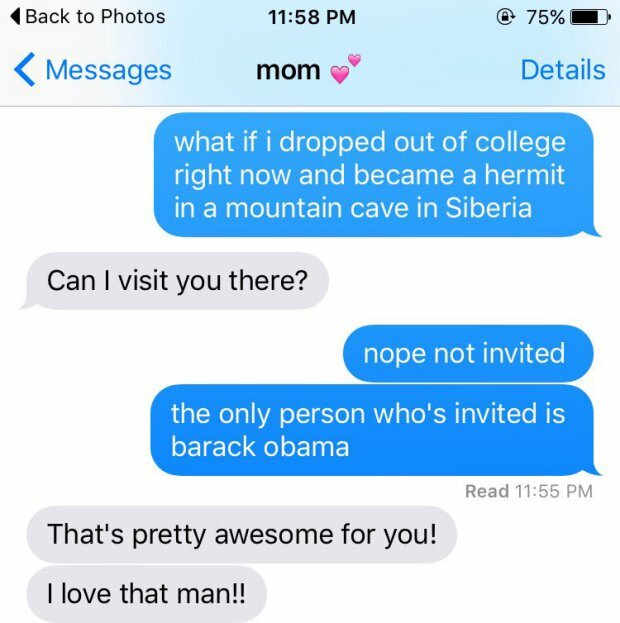 Are Your Texts To Your Kids As Inspirational As This Mum's? We Think Not! 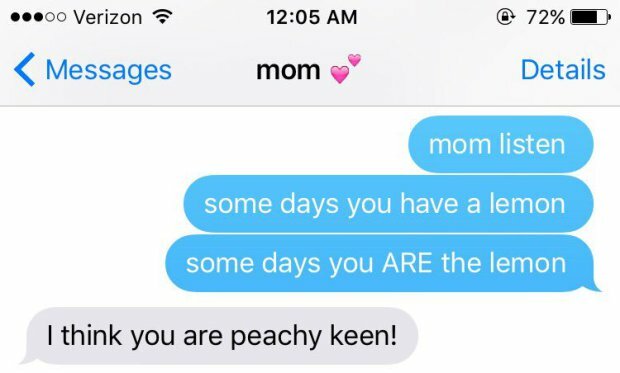 No matter what Delaney Keefe texts her mum, Tamara, she will always get a chirpy response. 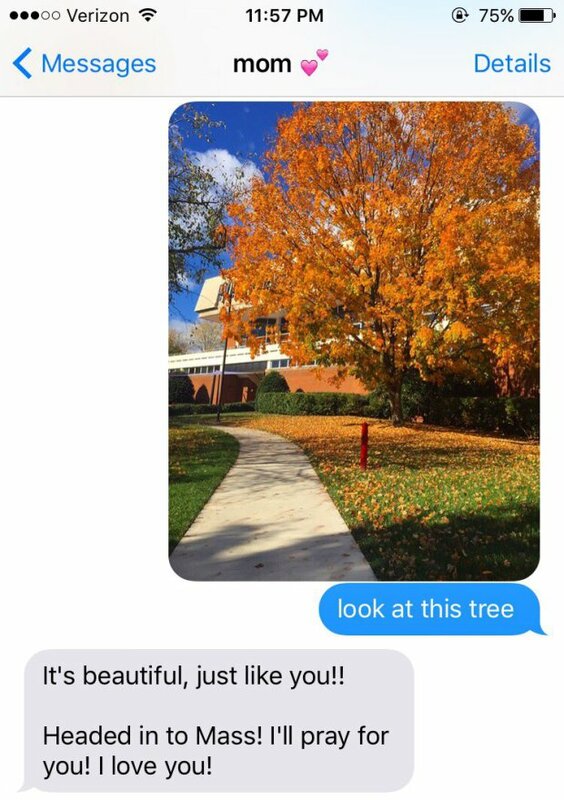 Do you reply to your kids' texts with the same inspiration? Motherhood is challenge, what with putting up with the mess, the whining, the mood swings and the teenage nonsense. But it's also one of the most rewarding jobs on the planet. So when they come to us parents for advice or even just a general chat, we support our children not matter what. Or at least we try. 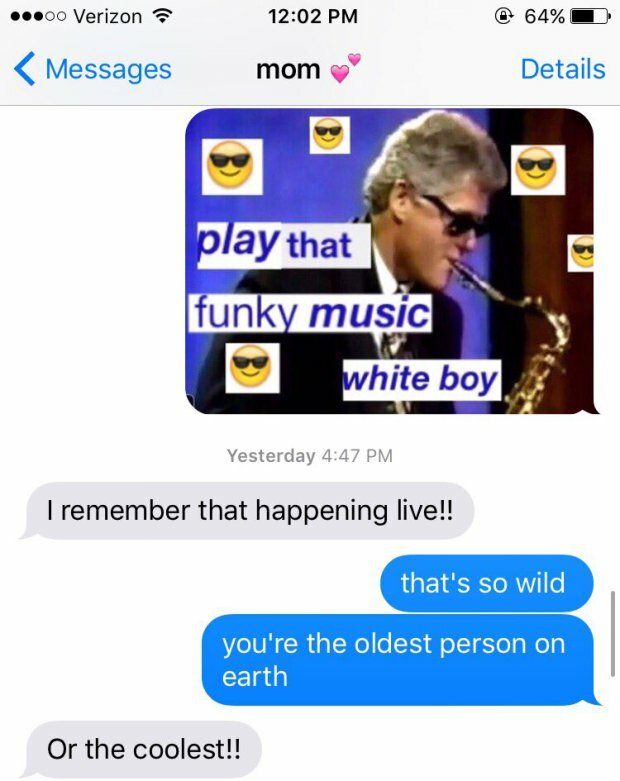 Read more: Girl Texts Her Ex Using Only Adele Lyrics And He Totally Falls For It! Here's why we need to give a particular shoutout to Delaney Keefe's mum, Tamara. 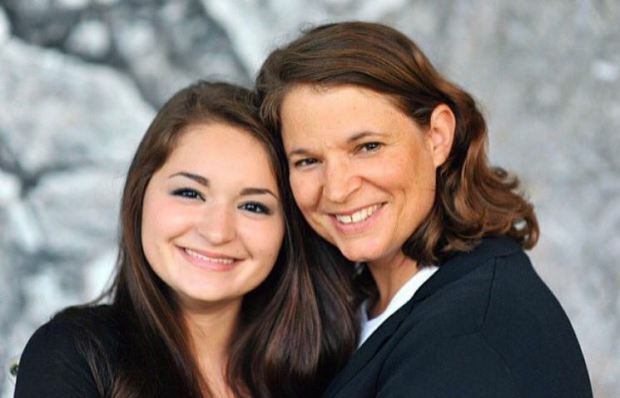 Delaney, 17, is a student and living in Virginia, whilst her mum lives in California. The pair text a lot to keep in touch. Whilst the pair's relationship is sugary sweet, we're not so sure that most mums would reply in the same way. In fact, we're so sure that this is the case because these teenagers were so inspired by Delany's mum, that they sent the same messages to their mothers, just to see how their response compares. Now these are a little more realistic! Kudos to all mums out there!